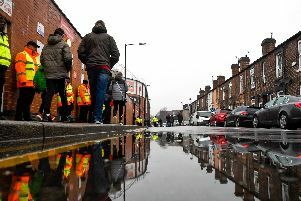 Many Sheffielders supported the national protest for action on climate change in which thousands of local schoolchildren took the day off school to march through the streets. Scientists have proven we will see significant effects of global warming in the next 12 years meanwhile, Sheffield City Council recently declared a ‘climate emergency’. In light of this, about 500 Sheffield schoolchildren took to the streets last Friday to urge the government and private companies to take more action to reduce carbon emissions. Star readers also took to the comments section to have their say. Many praised the pupils but some criticised them for taking time off studying.